SRINAGAR: Before posting on his timeline, Khan Irshad would have remotely thought that his wish would be rewarded in such a “tragic” manner. Rizwan Assad Pandit, the boy who was killed in the Special Operations Group (SOG) headquarters at Srinagar during the intervening night of Monday and Tuesday, had just turned 29. As he was in the police custody, he couldn’t respond to the wishes, his friends had posted on his wall. The wish by Irshad: “mny hpy returns of the day 2 u broda”, is impossible to materialize as Rizwan wouldn’t have any happy returns of the day now. 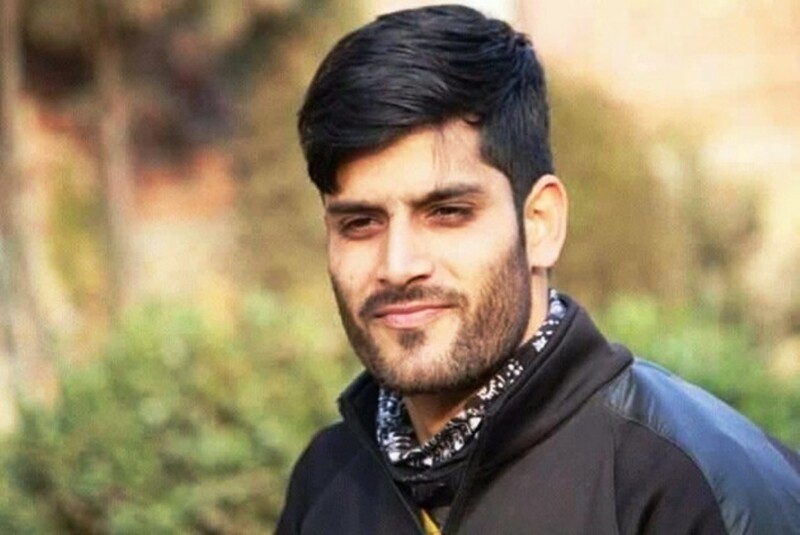 Rizwan Assad, the young school teacher who died in police custody, a day after his arrest, from his Awantipore residence on March 18, 2019. On Tuesday, a pal of gloom descended upon the Pandit House in Pulwama’s Awantipora locality when the information about the “untimely departure” of their boy reached home. Until mid-day, they believed it to be a mere rumour, but it finally turned into a reality. People from different areas thronged the Pandit House to pay condolences to the family. The body was handed over to the family around 7 in the evening. Amid fierce anti-government sloganeering, Rizwan was laid to rest at a local graveyard. “His left eye had completely blackened, his nose was still bleeding and there were several torture marks on his body,” Mubashir Hassan, the elder brother of the slain, told the Kashmir Monitor, a local daily. “His stomach had swollen a lot. It clearly shows he died of torture,” he said. An autopsy, according to Hassan, had also been conducted on Pandit’s body without the family’s permission. “They had carried out post-mortem without our consent at Srinagar’s Maharaja Hari Singh Hospital and we haven’t got its report till now,” Hassan told Scroll.in, a news web portal. Officials at the hospital told Scroll.in the autopsy report has not yet been submitted to the police, and that they cannot disclose the cause of Pandit’s death. The government has ordered a magisterial inquiry into the death. Police had also initiated an in-house investigation in the death in custody. An MSc, Rizwan was a principal in a local school in Awantipora and also taught at ELITE – a local coaching centre. A son of a Jama’at-e-Islami patron –a politico-religious organisation that recently faced a ban after the recent Pulwama attack and many of its cadres were sent behind bars as well– he was “detained” from his home two days before. “He himself wasn’t associated with any religious organisation,” said Hassan. The next morning, as the family went to the police station to inquire about Rizwan’s well-being, they were told that he had been handed over to the Cargo, the main operational headquarter of the SOG in Srinagar and that the police couldn’t do anything about it now. “Now whatever is to be done, they (SOG) will do it,” they reportedly told the family. Finally as Rizwan was freed, he tried to turn the page; he resumed his work in school. But only two and a half months later, he was summoned again, and this time, he left for good. The police issued a statement of Rizwan’s links with militancy, but Zulkarnain denies any such “accusation”. “My brother was innocent; he wasn’t affiliated with any militant organisation,” he said. Although, ZulKarnain wants an investigation regarding his brother’s killing, but in the same breath, he has no hope of any fair turn out. Since 1990, after the militancy started, custodial killings were the order of the day, according to the various rights group. An unknown number of people were killed in the custody of various counter-insurgent forces and so many disappeared. In January last year, replying to a question in the Rajya Sabha, Subhash Bhamre, the deputy minister of defence, said that 50 such cases were reported by the state government to the central government for Prosecution Sanction against Armed Forces personnel under AFSPA, 1990. All these cases took place from 2001 to 2016. Only in three cases, which had taken place in 2006, 2011, and 2014 respectively, the decision is pending. In the remaining 47 cases, permission has been denied, “on account of lack of sufficient evidence to establish a prima facie case”. On Tuesday, after the killing of Rizwan went viral, people from different areas of Kashmir took to streets and protested against the killing. The politicians including the separatist parties also registered their routine condemnation on Twitter. While terming Rizwan’s killing as an “act of state terrorism”, the JRL had called for a valley-wide shutdown on March 20 and peaceful protests on March 21.